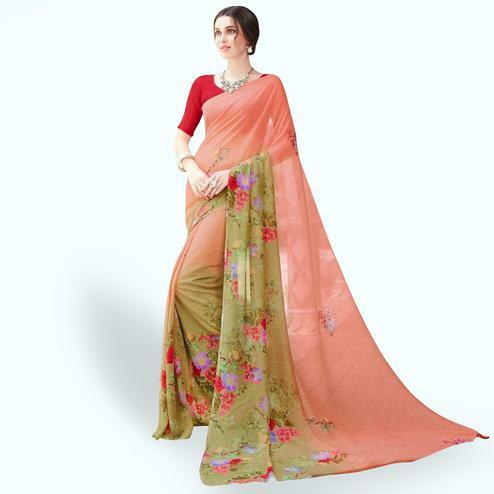 Make the heads turn your way as your stroll across with this pink saree. 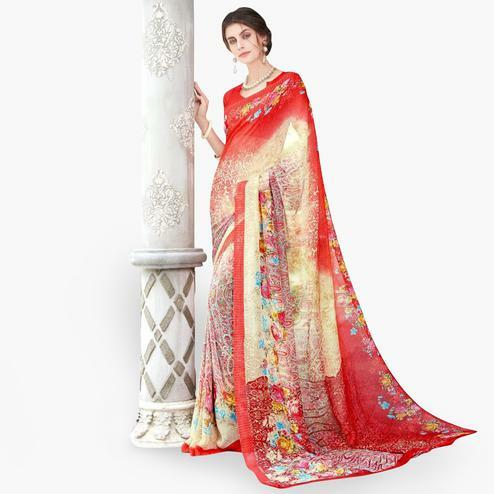 This fancy georgette saree is enriched with floral design foil prints & digital printed lace border work. 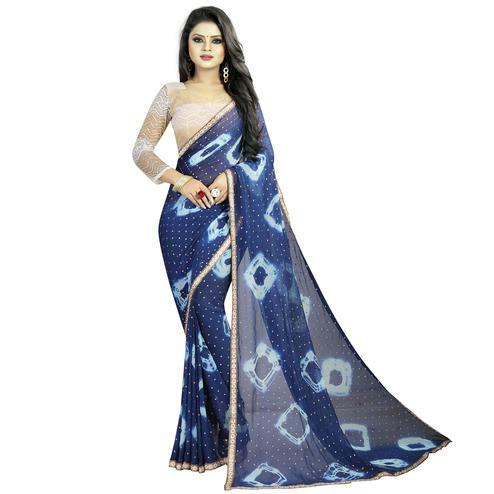 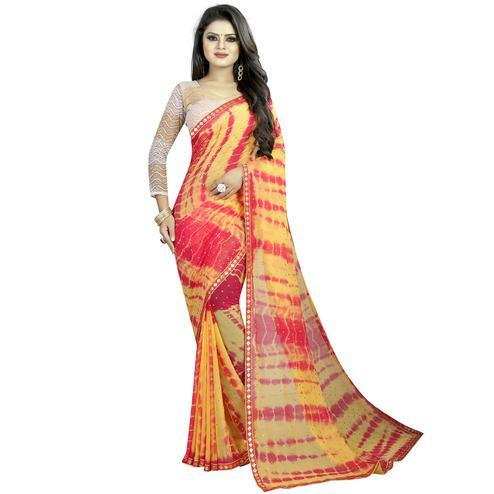 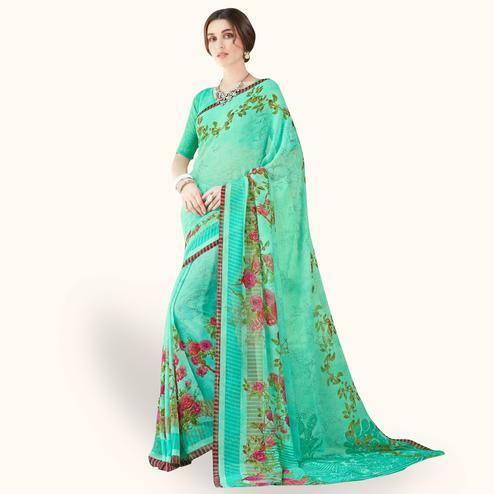 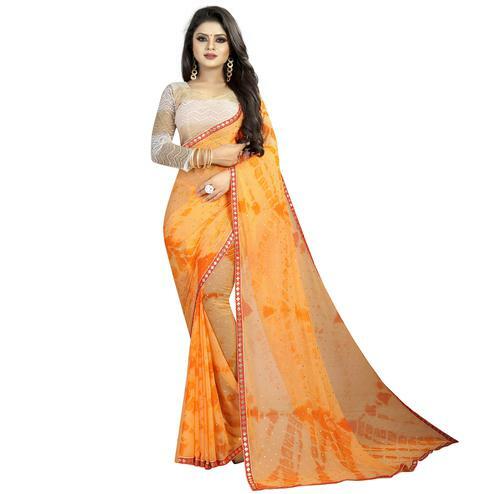 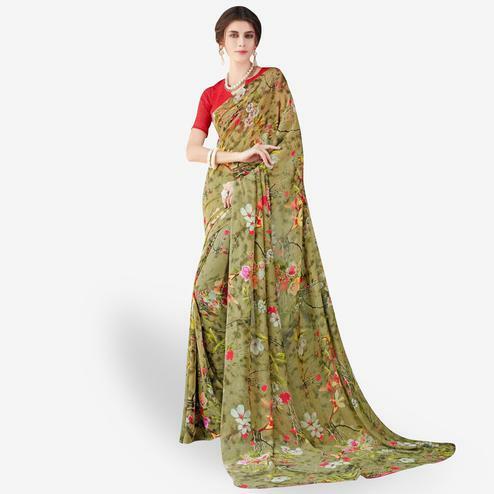 You can wear this saree for casual parties events & social get together. 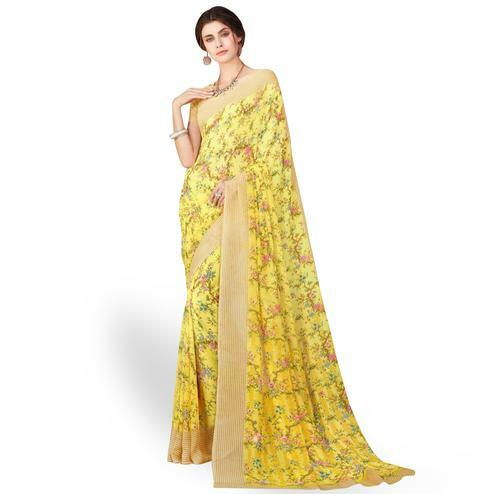 Saree paired with matching raw silk blouse piece.